A passion that Manna has grown over time, and that after 15 years of stage as a keyboardist in various musical projects approaches the House music and the world of DJing. Work, dedication, discipline, study the keywords to understand the path of what can be considered in all respects an eclectic artist. 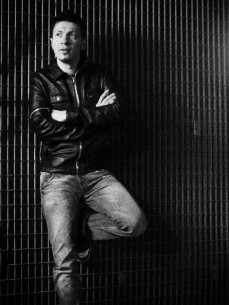 Passion and dedication that lead him soon to enter, such as a sound engineer in a recording studio where he had the opportunity to work with internationally renowned DJs (Luca Trevisi, Pasta Boys) and to develop a technical background and considerable experience in the field of music production. Experience 360 degrees: study, music productions, live. Thanks to his experience in music and the help of the computer Manna dj makes it unique on the show, turning every DJ set in a real live, through the use of loops, samples and effects. The Manna dj-sets are a bundle of energy, a wave that sweeps the audience through a unique selection of music, ranging from House to Electro, passing through more electronic sounds and Techno. Dj-set never predictable, never dull, because the result of a very specific intention: to propose a musical journey that involves, rather than an impersonal sequence of hit mixed. He directs the operation in the recording studio of Irma Dancefloor and collaborates with Cesare Cera (BlackMightyWax) to the artistic and musical direction of the label.